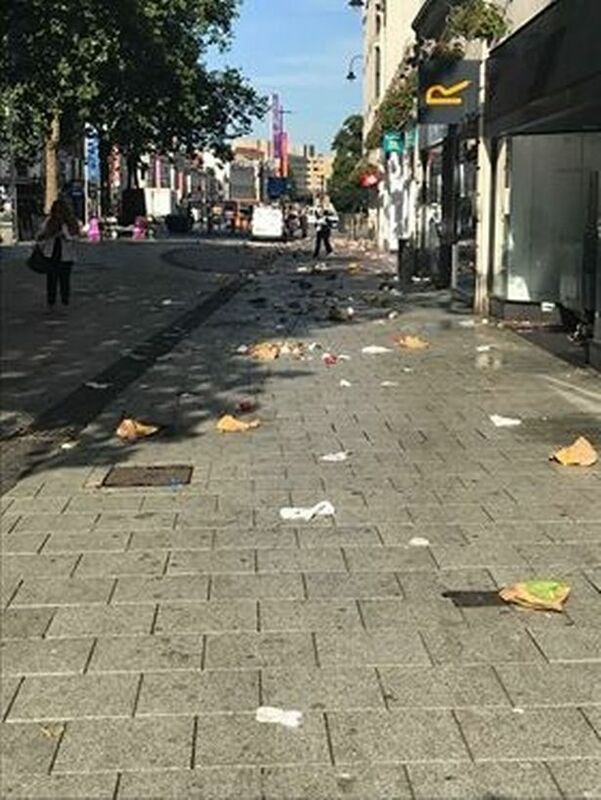 The centre of Cardiff was left strewn with litter on Saturday morning the day after tens of thousands of fans attended Ed Sheeran's second gig in the Welsh capital. While the flame-haired singer had charmed crowds on night at the Principality Stadium it seems the aftermath of the concert, as well as late-night revellers, left the city centre looking like a mess. Leanne Jonathan, 43, was in Cardiff early on Saturday morning on her way to Cardiff Central station to see the Foo Fighters in London. 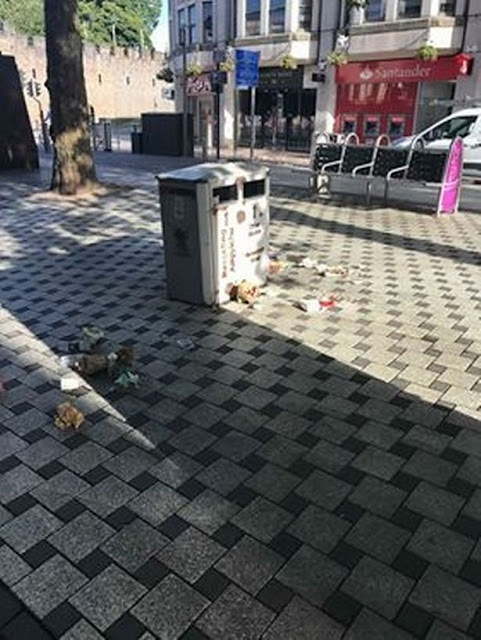 But after parking her car and walking along Queen Street just after 8am she came across the scene which made her feel "disgusted". "I was absolutely shocked," she said. 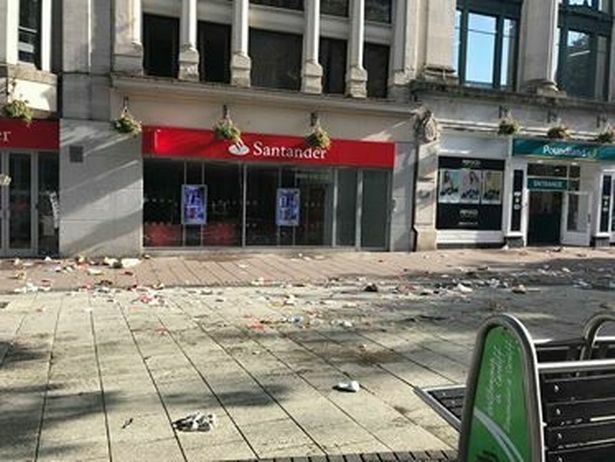 "It's not the seagulls and the bins are completely empty. "There's nobody from the council in the area. There was, however, a council employee watering the hanging baskets on St Mary Street. "What's happened to the days of the street cleaners overnight? "It make me feel disgusted and ashamed." 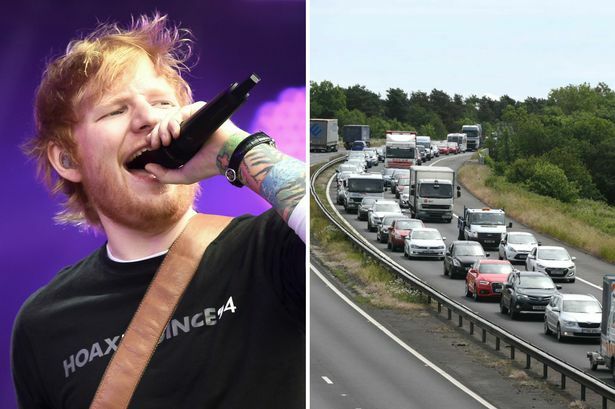 It comes as Sheeran is set to play another two shows in the city – and make history as the first musician to play four consecutive nights at the Cardiff venue. On his opening night he told adoring fans he has a "deep love" for Wales . And on his second night Lionel Richie was spotted in the crowd enjoying the show.